At Stroud High School we offer a broad and balanced curriculum throughout all Key Stages enabling students to develop their skills, knowledge and interests. We aim to provide our students with the academic opportunities and enriching experiences to prepare them to make a difference in an ever-changing world. In Key Stage 3 (Years 7 – 9) all students pursue courses in Art, Computing, Design and Technology (Resistant Materials, Textiles, Food and Graphics), Drama, English, French, Geography, History, Mathematics, Music, Personal Development, Physical Education, Religious Education and Science. In Years 8 and 9 students also choose to student either German or Spanish. Citizenship is delivered through curriculum enrichment events and visits. 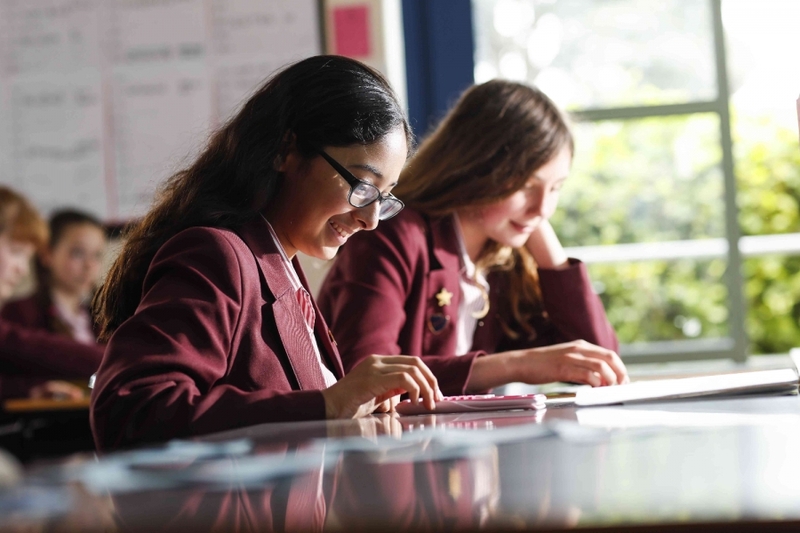 In Key Stage 4 all students pursue a core of GCSE English Language and English Literature, Mathematics and Science (2 GCSEs), with non-examined courses in Citizenship, PE and Personal Development. In addition all students make a free choice of a further four options from Art and Design (Fine Art, Photography or Textiles), Business, Computing, Design and Technology (Resistant Materials or Graphic Products), Drama, Food and Nutrition, French, Geography, German, History, Music, Physical Education, Religious Education, Separate Science and Spanish. Further information is also available below regarding supporting the transition from Year 9 to Year 10 and the new GCSE grades. Subject Overviews for Years 7, 8 and 9: to support parents in interpreting the new Key Stage 3 reports. From September 2015 our reporting system for Key Stage 3 changed to reflect changes to the National Curriculum, and the removal of KS3 National Curriculum Levels as a measure of attainment/achievement. As you will be aware, new GCSEs and A Levels are being introduced, and we anticipate that Key Stage 3 reporting will develop further as we learn more about these new-style qualifications. Outline Schemes of Work (SOWs) for Years 7 to 13: for each subject for each year from Year 7 to Year 13. These identify for parents the sequence of topic teaching for each subject, and provide useful weblinks that will support them in understanding and supporting their daughter's learning. Please note that sometimes the order of topics may change if an opportunity arises that makes it more relevant at another stage in the course. If you require any further information about the curriculum, please contact the school.